FORWARD Ep. 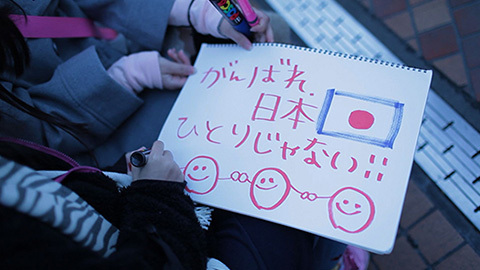 16 | jibtv.com | Japan International Broadcasting Inc.
Twenty-eight high schools across the country undertook a project to try to restore some smiles after the Great East Japan Earthquake. In January 2012, more than 2,400 photos of encouragement were bound into a book. The program follows the high school students and their efforts to express support and gratitude through pictures.